The Smallest Commercial Airport runway in the world? 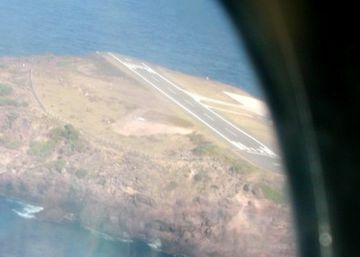 The locals claim that Saba's runway is the shortest commercial airport runway in the world. It is 400 meters (1300 feet) in total length. The span of runway between the white lines demarking the "usable" runway length measures just under 1000 feet. There are not any overrun areas on either end of the paved runway where shear cliffs immediately drop off over 200 feet into the sea. 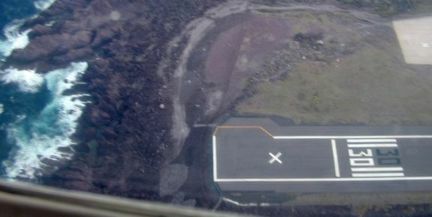 Officially, the runway is permanently closed to all air traffic as is designated by the "X" on each end. 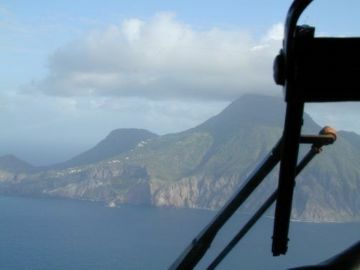 However, aircraft are permitted to operate on Saba by obtaining waivers from the Netherlands Antilles' Civil Aviation Authority. Melissa and I visited Saba while on a recent SCUBA diving trip and we flew in and out of the Saba airport on a DeHavilland Twin Otter. I shot the following photographs during our landing approach. Above, you can see the entire 1300’ runway. Above and below, note the shear 200’ vertical drop off at each end of the runway. Above, we are on our final landing approach. 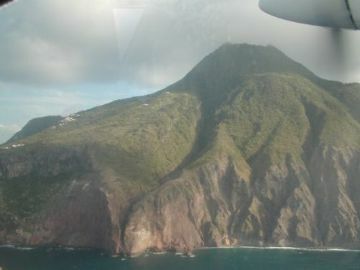 The following photographs depict the island of Saba as seen from the plane as we neared the island. Melissa about to board the Twin Otter for our trip to Saba. 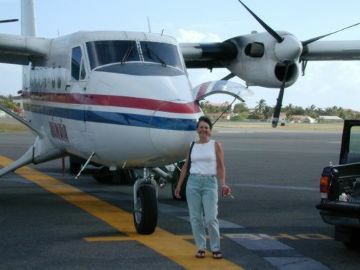 The Twin Otter is shown above and to the left in St. Maarten immediately prior to our flight to Saba. The Twin Otter is a STOL (Short Takeoff and Landing) vehicle. 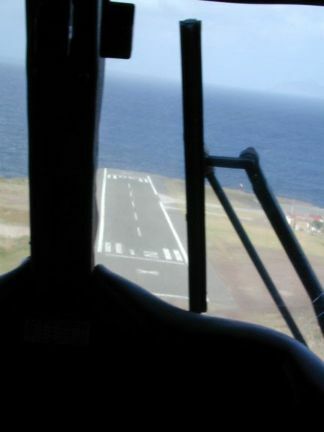 Only the Twin Otter and two other aircraft types are currently waivered to fly in/out of the Saba airport. With only Melissa and I as passengers, our airspeed on takeoff and landing was around 50 knots. 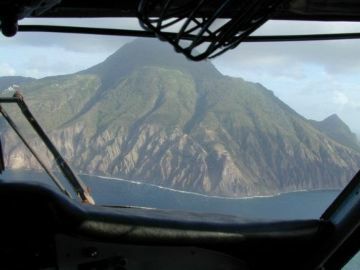 Our landing roll out in Saba was approximately 400 feet and our takeoff roll was approximately 700 feet. 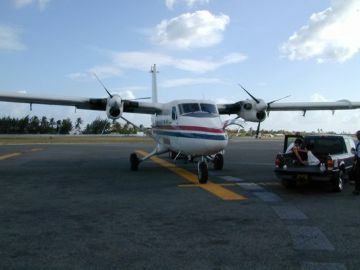 The Twin Otter can seat up to 20 passengers. Our pilots said that at maximum takeoff weight the Twin Otter is flown straight off the end of the runway similar to an aircraft carrier takeoff. Likewise, at maximum takeoff weight, the roll out on landing requires most all of the runway length.